We are a family owned and operated business with more than 40+ years' experience in the motor industry. Darryl Phillips has an extensive range of used cars. At Darryl Phillips Motor Company we have it all, why would you go anywhere else. Talk to us about the many options available to get your new purchase delivered to you throughout New Zealand. Looking for a top quality used car? Darryl Phillips Motors LMVD, Ashburtons premier used car dealer. Located in Mid Canterbury with 45 years experience in the motor industry, with the motto of "You name it, I'll find it" makes finding the car of your dreams a reality. We Stock Nissan, Ford, Subaru, Holden, Isuzu, Mazda, Mitsubishi, Opel, Suzuki, Toyota, BMW, Jaguar and other European vehicles. Plus a huge selection of four wheel drives of all makes and models. Darryl Phillips Motors LMVD we have it all, why would you go anywhere else? At Polytechnic he completed an apprenticeship as a motor mechanic and continued on to gain an A Grade Certificate. At the age of 25, he was running his own workshop/service station in Ashburton. Servicing a wide variety of vehicles he built up a large customer base throughout the South Island. 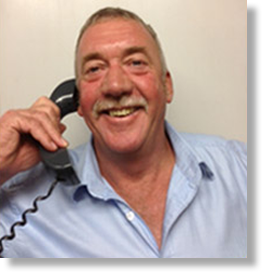 In 1996 Darryl leased out his business and began importing and selling vehicles with an Ashburton dealership. By 1999 Darryl owned the business. What does all this mean for the customer? Darryl Phillips Motors LMVD offers only the best service and the best top quality used vehicles to their clients. They have a back up service secont to none. "If there is nothing in stock that meets your requirements, you name it, we will endeavour to find it."